Welcome to the 'Movement for a Democratic Mixed Economy' website. This website has only just been created - so there's no material yet. But please visit again. We hope to receive some high quality contributions in the new year. Please read our mission statement for more information on what we stand for. If you're at all serious about this, the first thing you need to do is find a new name. "Movement for a Democratic Mixed Economy" is, I'm sorry to say, a terrible name. It's too long, it's too convoluted and doesn't project any sort of clear positive message. Ian: Personally I look upon the name of the group as a positive - combining the principle of economic democracy with a concept which still has widespread popular appeal. I think this is important in laying down common grounds for exchange between traditional social democrats - and radical positions on Participatory Economics (PARECON), and other perspectives. In laying down the grounds for exchange - the hope is to also create the preconditions for practical co-operation in the future also. I think that there is a great need for the left to re-engage with the issues facing working class people. The internet provides a great opportunity for people with similar beliefs to engage in policy discussion, forge online communities and closer linkages. What is the Movement for a Democratic Mixed Economy? 'Movement for a Democratic Mixed Economy' are a network of progressives in dialogue with each other – working to contest the dominant economic paradigm – and to promote an alternative which is democratic; involving mixed forms of ownership. We believe there is a substantial role for the public sector. 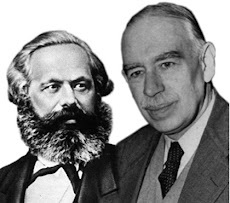 We accommodate many positions ranging from the restoration of a “traditional social democratic” model of the ‘mixed economy’ (inspired by the ‘Keynesian Golden Age’) – to more radical positions envisaging extensive public and democratic ownership and control. We aim to provide a forum for both radical and more mainstream positions – with a shared objective of challenging the ‘common sense’ of neo-liberalism. We endeavour to establish the ‘democratic mixed economy’ as ‘common sense’ – and to refashion and contest the relative political and economic ‘centre’. And though our positions are many and varied – we endeavour to support each other – that all our voices are heard in an inclusive and rational exchange of views. Again: we support both radical and relatively moderate interpretation of the ‘democratic mixed economy’. We do not, however, include perspectives which are authoritarian: which deny our liberal human rights. We seek to include socialists, social democrats, liberals, Greens and libertarian leftists – co-operating and in dialogue with each other. Finally: We are seriously in the business of promoting social change. To begin we need to build our Facebook Group as an extensive network. But once we are in dialogue with each other – hopefully we will provide a real forum for members to organise and co-operate in pursuit of real social change. This blog is the beginning of this effort! If you are sympathetic with these principles and objectives PLEASE JOIN - and regularly check this blog for new content! INTERESTED IN SPONSORIING THIS PAGE? What is the ‘Democratic Mixed Economy’?